We’re based right on the coast and we love it. So we were really pleased to welcome Bek Homer to the Distillery to feature on her “Bek by the Sea” show on Radio York. 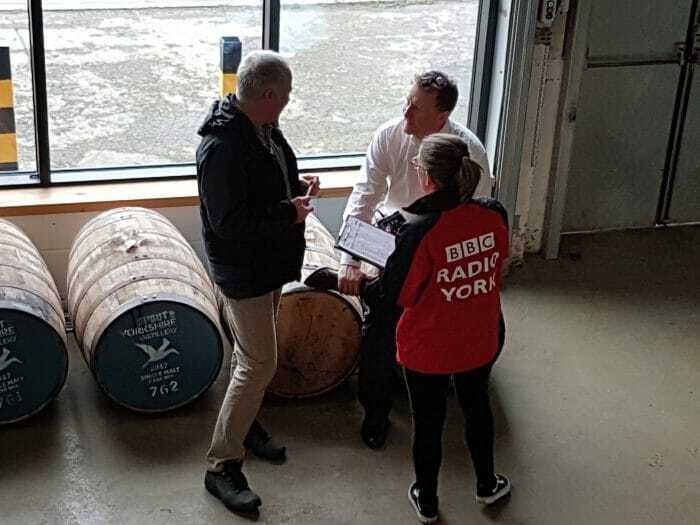 Bek chatted to nearly all of the team, and some members of the public, about all the different aspects of making, selling and enjoying whisky, as well as the other things that we do here at the Spirit of Yorkshire. And it was extra special as Bek lives in Hunmanby too, so she’d actually walked over from home. The whole programme is three hours long (including lots of music!) and can be found on the BBC Sounds page here.